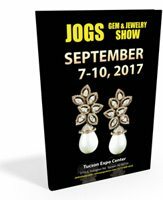 The JOGS September 2017 Gem and Jewelry Show took place September 7 - 10, 2017, at the Tucson Expo Center. Below is a list of exhibitors who exhibited at the Show. If you are looking for vendors from the Winter 2017 Show which ran January 26 - February 6, 2017, please click here. Swarovski crystals, designer's exclusive jewelry, silver jewelry and stone beads. Pewter, findings, beads and rough stone. High quality fashion jewelry & silver. Handmade silver jewelry with genuine stones from Bali and Italian silver chains. Fine Mexican sterling silver jewelry. Chains, findings, beads and pendants. Gemstone beads and micro pave. Jewelry with natural wings of butterflies, silver. Semi-precious gemstones, pearls and beads. Guatemalan beaded jewelry and textiles. Handcrafted sterling silver jewelry with labor intensive inlay. Gemwater bottles, decanters and dispensers. White gold-plated high end designer jewelry. Native American jewelry set in sterling silver. Semi-precious beads, pearls, findings and pendants. Silver jewelry, pave diamonds and findings. Stem cells organic products, skin care. Amber jewelry supplier and manufacturer featuring finished jewelry in gold and silver along with beads, decor and cameos. Fine jewelry, silver jewelry, rhodonites and semi-precious stones. Sterling silver jewelry with semi-precious stones. 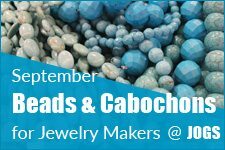 Larimar cabs, silver casting jewelry with larimar, one of a kind jewelry. Jewelry, assorted cabs and beads. Manufacturer and wholesaler of sterling silver jewelry with colored stones. Silver jewelry with rare gems. Arthur Gem and Jewellery Co.
Gem stones and silver jewelry, round beads, oval cabochons, pear shape, T.V. cushion, sq. 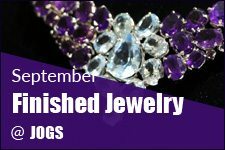 cushion, cushion and long-oval, faceted, donuts, freeform, chips, necklaces, bracelets, earrings, rings and pendants. Sterling silver jewelry with gemstones. Body jewelry, silver earrings, gold earrings. Silver rosary and rhodium plated jewelry. Unique Turkish jewelry, handicrafts and lanterns. Supplies for weddings and parties. 18k gold overlay designer jewelry. Stand alone metal sculptures, wall art, mosaics. Antique/vintage jewelry, beads, chains etc. Handmade sterling silver and gold dipped jewelry. Stainless steel jewelry and findings. .925 Sterling silver jewelry with gemstones. Fine jewelry with diamonds, rubies, emeralds, alexandrite, sapphires, gold jewelry and watches. Wood displays, 925 silver jewelry, leather, horn items. Handmade American Indian jewelry, Southwest styles. Turquoise. Bra straps with crystals, beads, adhesive bras. Druzys, crystals, agates, cabochons, jewelry. Handmade jewelry, lapis, jewelry and crafts from Afghanistan and necklaces. Crystals from Brazil, amethysts, geodes, clear quartz, smoke, clear, rose, green quartz, citrine. Gemstones, beads, jewelry, lapis, jade and handmade necklaces. The finest mineral specimens, gemstones and cabochons from this world and beyond. Meteorite, moldavite, amber, silver jewelry, Navajo Rugs and Mana pottery. Beads, silver findings, finished jewelry. Wholesale turquoise cabochons and rough turquoise.